Sangsitara Laxmi Ganesha is worshipped for appeasing the planet Venus and for getting the blessings of Goddess Laxmi and Lord Ganesha. It is good for business, creativity, intelligence and for overcoming obstacles. If anyone is passing through lean patch and great adversities, it is advisable that they should worship Sangsitara Laxmi Ganesha in order to overcome the bad phase quickly and turn the maleficence and evil effects of the planets especially Venus into the positive effects. 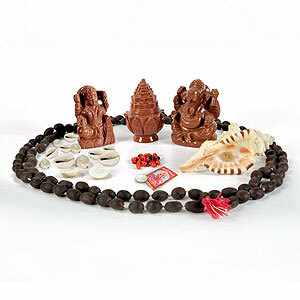 The worship of Sangsitara Laxmi Ganesha enables the worshippers to overcome all the hurdles in life and enjoy all sorts of material benefits. Its importance is increased immensely if worshipped with wholehearted devotion in Deepawali. Its use is especially beneficial to the people whose rashi is either Leo or Sagittarius or Pisces or who is undergoing the Mahadasha or Antardasha of either Sun or Jupiter. 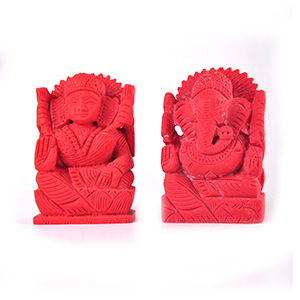 It has been mentioned in religious texts and scriptures that Ganesh Shankh should be used in every special puja and invocation of gods and goddesses. It provides wonderful and amazing result. 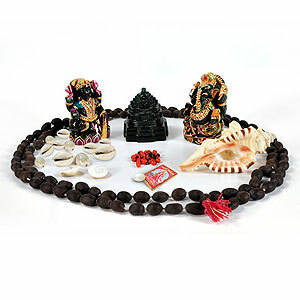 Those who use this Ganesh Shankh in puja at homes and work places, they receive the blessings of gods and goddesses, their business and profession prospers and they are endowed with peace, happiness and all-round well-being. 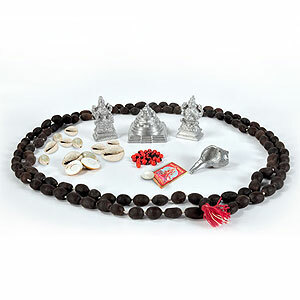 It eradicates all sorts of sufferings and also protects from any black magic or witch craft or danger from the enemies. There are numerous evidences that this Ganesh Shankh has blessed the worshippers with children, if they dont have any, longevity, security from impending dangers and everything if worshipped properly.